Yesterday I did a post called Words He Needs to Hear, about showing our husband our respect through our words of affirmation. Since then I've been thinking how important it is for us, as wives, to hear those same words of affirmation from our husbands. While normally my blog posts are directed towards wives, today this is for husbands. So wives, call your husband in the room and let him have a little look at today's blog. How can you help? I have a sneaking suspicion that your words of affirmation...words of beauty, truth and love...could help drown out those voices. 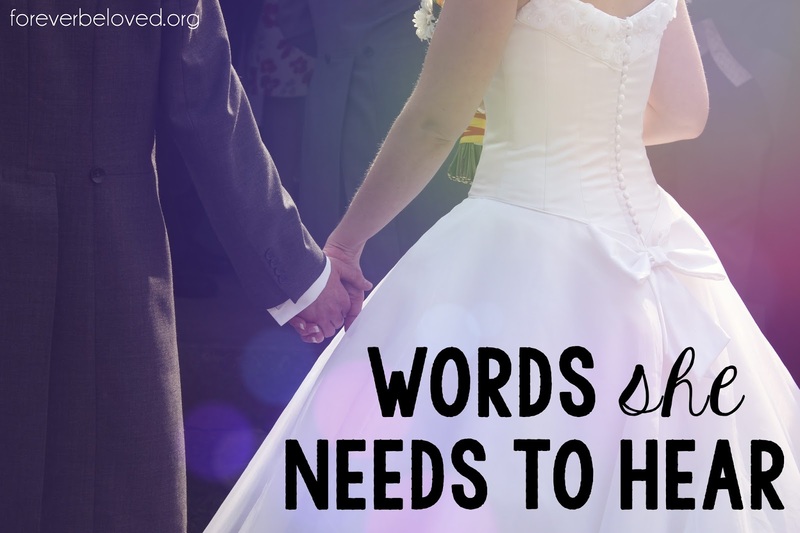 Every wife wants to hear those words but more importantly, they need to hear them. And they need to hear them from you, the one their heart desires!